Hi! This is Karma, from Kids Saving The Rainforest again! 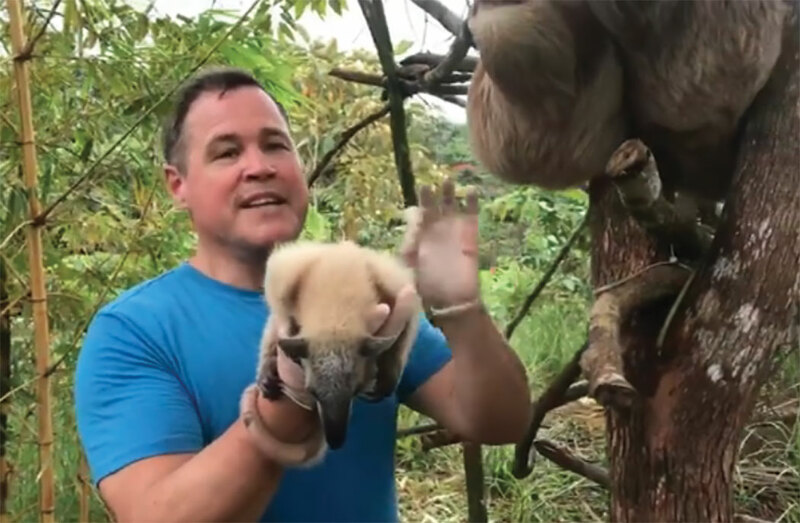 Last month, I talked to you about how you can help collect leaves for hungry sloths and anteaters in our rescue center. Our friends at Hostel Plinio have offered to be a drop-off spot for all those yummy leaves you collect for us. Thanks guys! If you missed last month’s LEAF-let, you can contact my mom at volunteer@kstr.org to learn more. This month, I am going to tell you about a very special visitor who came to Kids Saving the Rainforest. Jeff Corwin! Jeff is a biologist and conservationist who travels all over the world filming with wildlife! He visited us with his film crew for his show on ABC, called Ocean Treks with Jeff Corwin. 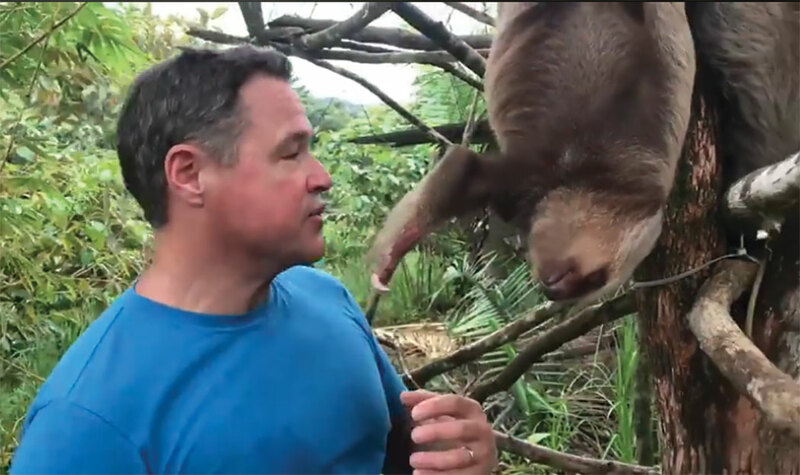 While filming, Jeff focused on our wildlife rescue and relief work. He even met a very special animal from our nursery, Peanut the anteater! Jeff and his crew arrived on a very exciting day! They went with our veterinarian Dr. Sofia Bernal to release a Grey Crowned Squirrel Monkey, Cocorita. Coco came into Kids Saving the Rainforest showing possible signs of neurological damage. Our clinic staff worked hard to nurse Coco back to health. Jeff’s crew looked on as Coco had her final check, and was released back with her troop! Another animal back in the wild where they belong! We invite you to come visit Kids Saving the Rainforest, too! We give tours at 9 am every day except for Tuesday. You might even see me there! Until next month, Quepolandia readers. Have a wonderful February!